Pure Country Ear Training is one of the “Direct Application” ear training courses. You should work on this course when you are getting around 50% correct notes with the Ear Training One Note Complete course. 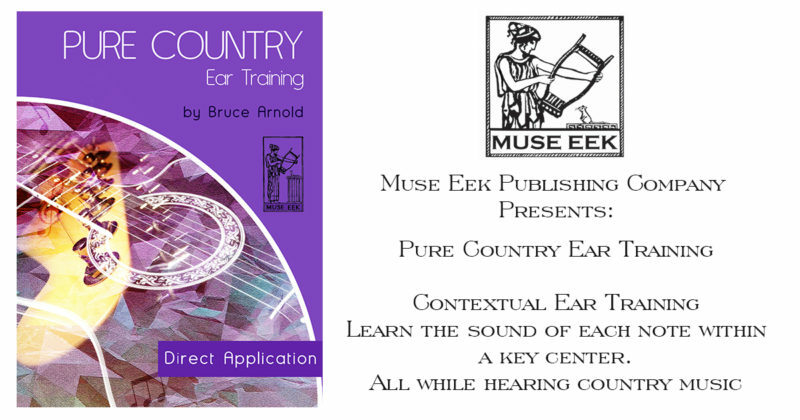 Pure Country Ear Training gives you Country Music Grooves that serve multiple purposes. The first is to create a simple enough real music situation wherein a beginning ear training student can learn “One Note” Ear Training. The second is to create a real music situation that sounds pleasing and within the chosen style. The third is to create music tracks that are in common key centers like Major, Dorian, Lydian, Mixolydian, Aeolian with Phrygian and Locrian added, for a complete picture of the modes of a Major Scale. Fourth is to create an ear training exercise wherein a student can also play along, thus additionally developing improvisational skills. Please check out the example MP3s to see if you agree that this course meets those requirements. Muse Eek Publishing has created many Direct Application courses to help a student apply their budding ear training skills to real music settings. It is a growing list of courses. Here is a current round up of available courses that are a must-own for anyone who wants to develop true ear training skills in a performance context. The Direct Application Series gives you a series of courses to develop your ability to hear and sing over real music situations. The courses include Direct Application Ear Training Volume One, Secondary Dominants: Direct Ear Training Application, Direct Application CD Volume One Major. and Direct Application CD Volume Two Dorian. 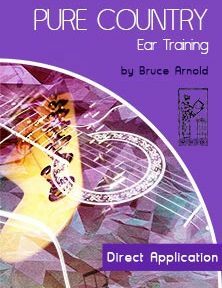 Direct Application Ear Training Harmonic Major Modes. Ear Training For Children and Others Young At Heart. As an honorable mention I’m including the Scale Analysis Course because this mega course teaches you how contextual ear training applies to multiple chord progressions which of course occurs a lot in the real musical world. Below are 7 excerpts from the 84 tracks found in this course. This entry was posted in Ear Training and tagged Country Ear Training by Muse Eek. Bookmark the permalink.